Everything that lives grows. Well, every healthy plant or animal grows. If a child stops growing, something is wrong. A plant should grow taller and broader as time passes. It’s the nature of all living creatures to grow because cells are dividing and multiplying. That’s the way God made them. As in many things, the spiritual realm correlates to the physical realm. If there is spiritual life, then there is growth in faith and love, which are fruit of the life of God within. If you are alive, then God gave you life, and He sustains your life. “‘See now that I, I am He, and there is no god besides Me; it is I who put to death and give life” (Deut. 32:39). Every day we live is an undeserved gift from God. His mercies that are new every morning sustain the life God gives us. In Paul’s first letter to Timothy, he wrote, “For it is for this we labor and strive, because we have fixed our hope on the living God, who is the Savior of all men, especially of believers” (1 Tim. 4:10). The word translated savior can also be translated preserver, and considering the context, seems to make more sense. God not only sustains and preserves the life of all men, but He especially does so for His children. Physically, God has written your name in the book of life, and so today your name is still in that book by His grace and mercy. Not only is physical life given and sustained by God, but even more so, He gives and sustains all spiritual life. The Holy Spirit births, feeds, and protects spiritual life in His children. Jesus said, “It is the Spirit who gives life” (John 6:63). We know physical life is present because the creature breathes, and the indicator of spiritual life is the same—the presence of the breath of God is visible in the soul. How can you see the breath or life of God in the soul? Increasing faith and growing love, like the rising and falling of the chest as one breathes, testify to the presence of eternal life in believers. The apostle Paul encouraged the Corinthians with these words, “So then neither the one who plants nor the one who waters is anything, but God who causes the growth” (1 Cor. 3:7). If there is growth, then God causes it. That’s why Paul gave thanks to God when he heard that the faith of the believers in Thessalonica had been enlarged and their love had grown (see verse above). That’s how faith works—through love. At the beginning of the year, God laid it on my heart to fan the flame of God’s love in your souls by writing about living to love with Jesus. I asked the Lord to give me ways to encourage you, trusting that the life of God inside you would respond and cause you to grow in faith and love. You can go to www.spiritofelijah.com/chariot for a review of these encouragements. You’ve been called to live to love with Jesus. Living to love with Jesus is the most important quality of a man. Watch out for unbelief. It’s impossible to love if you don’t have faith in God. Love increases the more you confess your sins and receive His forgiveness. You can’t love others and live selfishly. If you are going to love with Jesus, keep the conversation going with the Holy mSpirit. Be filled with the Spirit. Whatever you’re filled with is going to come out of you when you are shaken. Does love come out? Do not quench the Spirit. Love can’t flow through someone who is grieving the Holy Spirit. Beware of Idolatry–you can’t love anyone you idolize. Have you seen any growth this year in your love for God and others? I hope so. If you have, then you know you have spiritual life. You’re breathing! You’re alive! As we wind down another year of life, I hope you’ll give thanks to God that your faith has been enlarged and your love for others has grown. I’ve realized this year that I still have much room to grow in my love for my wife, children, grandchildren, and those God puts in my path each day. Let’s unite our hearts to pursue love another year as the Word of God commands us to do (1 Cor. 14:1). It’s the only gift of the Spirit that we are told to pursue. I’ve been blessed as I lift my heart to the Lord each morning with what I call my i-livetolove prayer. I tweak it some now and then, and I’ve added more to it as God’s Spirit continues to impress my heart of the importance of His people living to love with Jesus. I invite you to plant this seed in your heart, water it each day by praying it, and see if God doesn’t cause your faith and love to grow another year as you walk with Him. Father in heaven, thank You for another day of life to live to know and love You and to live to love with Jesus. Anoint and fill me with the Holy Spirit, the presence and power of Christ, so that I can love and trust You and love the people You put in my path today, for Your glory. Pour out Your love among the nations of the world through Your people in a fresh and powerful way so that the nations may know that You sent Your Son, Jesus Christ, to be with us and save them from their sins. You promised to bless the nations through us. Raise up a faithful army of disciple-makers who live to love with You for the glory of Your name. Here I am, Lord. Cleanse me and use me today. 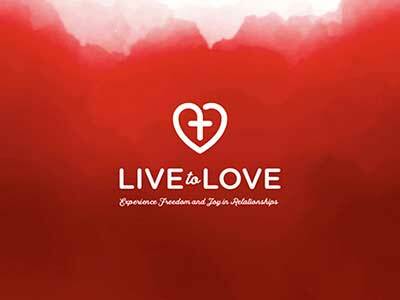 2019 looks to be an exciting year for me and for The Spirit of Elijah Ministries International as we publish the new Live to Love with Jesus book and launch the Live to Love discipleship adventure. We would be grateful for your financial and prayer support as we move forward with the vision God has given us. If God has ministered to you through Elijah Ministries and you would like to impact others with the message of living to love with Jesus, would you consider supporting the ministry financially? God provides for and sustains our non-profit ministry through the love and giving of those to whom He gives a heart to do so. If seeing the body of Christ grow in love and being a part of a movement to seek and encourage the outpouring of God’s love excites you, then please link arms with us. Thank you for giving to Elijah Ministries as the Lord leads. You may do so by either sending a check to the address below or click www.spiritofelijah.com/donate.